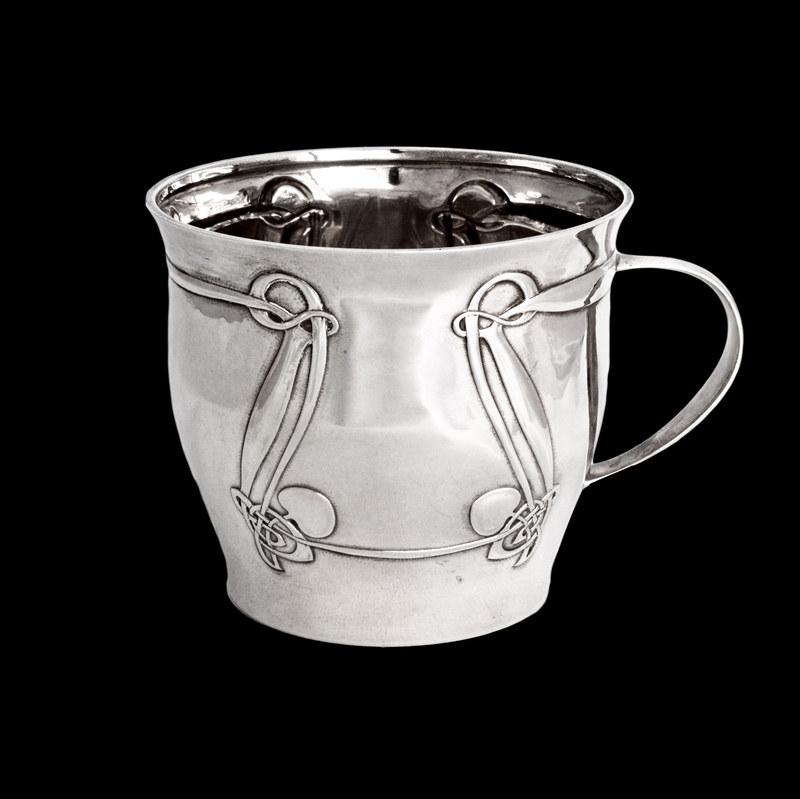 For sale is this beautiful silver cup by Archibald Knox for Liberty & Co’s Cymric range with distinctive Celtic design to the body. This design appear in Dr Stephen Martin’s book “Archibald Knox”, second edition, page 195 model 2070. The cup exhibits a very fine Celtic entrelac in Knox’s classic style. In very good condition.